Nachelle Stewart Mackie (’13) set two goals for her last collegiate track season: qualify as an All-American and finish without regrets. 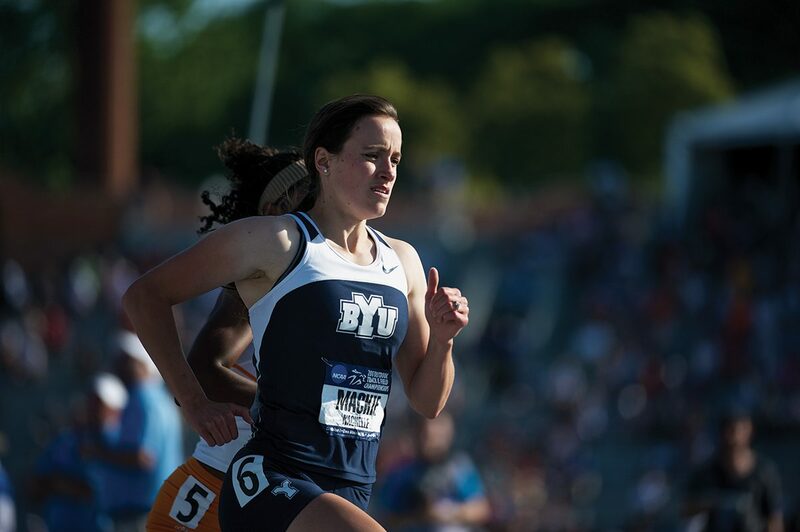 “I didn’t want to leave BYU wondering if I could have done more,” she says. Mackie left little undone. 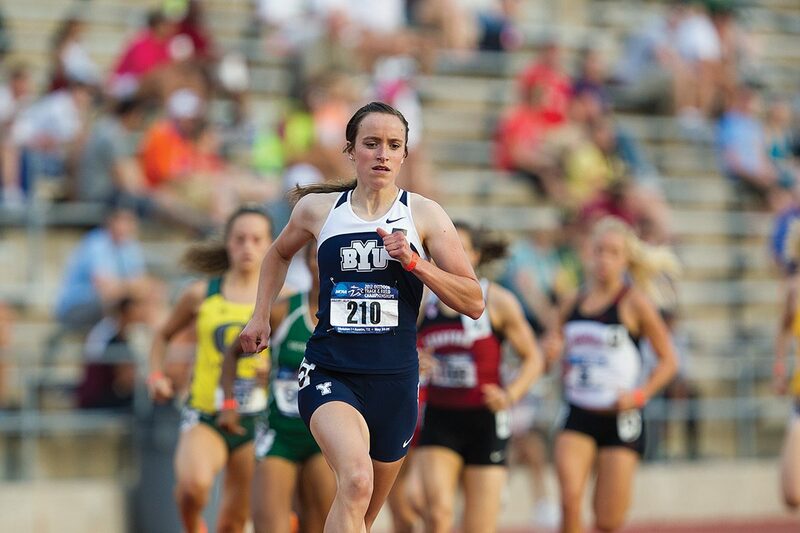 She became not only an All-American but also the 2012 national champion in both the indoor and outdoor 800-meter. In fact, she won every collegiate 800-meter run she raced in this year.